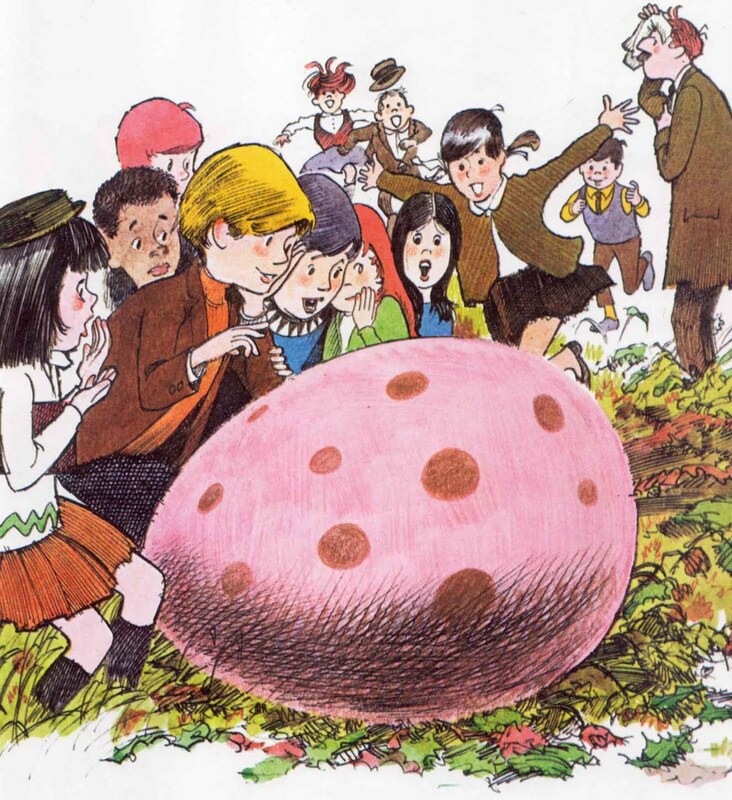 Vintage Kids' Books My Kid Loves: How Fletcher Was Hatched! Fletcher was reprinted in its 30th Anniversary Edition in 1998, and I doubt there is a person my age who didn't grow up wanting to have a dog like him. Or better yet, didn't want to have that nauseatingly-perfect head of blond hair that his mistress Alexandra sports. So yeah, Fletcher is this big old hound dog who gets jealous when his lady is fussing over a mess of new born chicks. 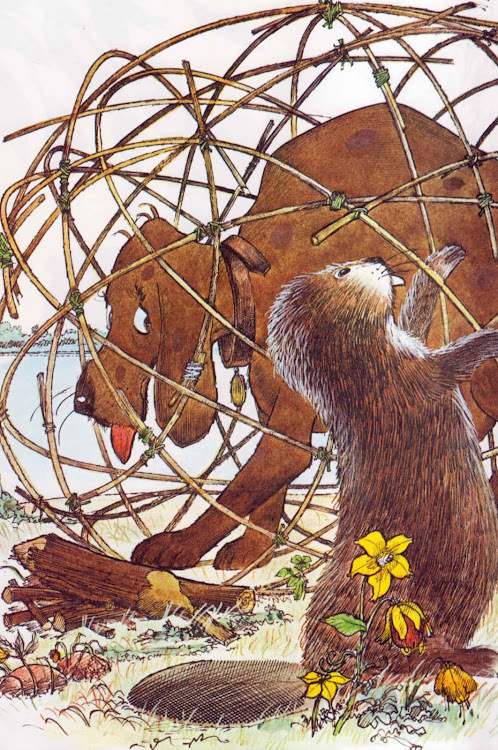 He and his buddies Beaver and Otter hatch a plan to hatch Fletcher. Building an enormous egg of mud and sticks, the team of three cause a huge stir in a little town... and help solidify the love of a girl and her pup. Then and there Fletcher knew it was time to hatch. He pushed and stretched and with a rising howl he fairly exploded out of the egg. The crown screamed and moved back. Fletcher shook himself and the mud flew. Feeling that something was expected of him, he turned to Alexandra. "Peep!" he croaked. This husband and wife team also brought us the timeless (and controversial) classic Old Black Witch.... which always gave me the titillating spooks way back when. Some of their later stuff is a little cornball, but Fletcher and Witch were always two of my library favorites. 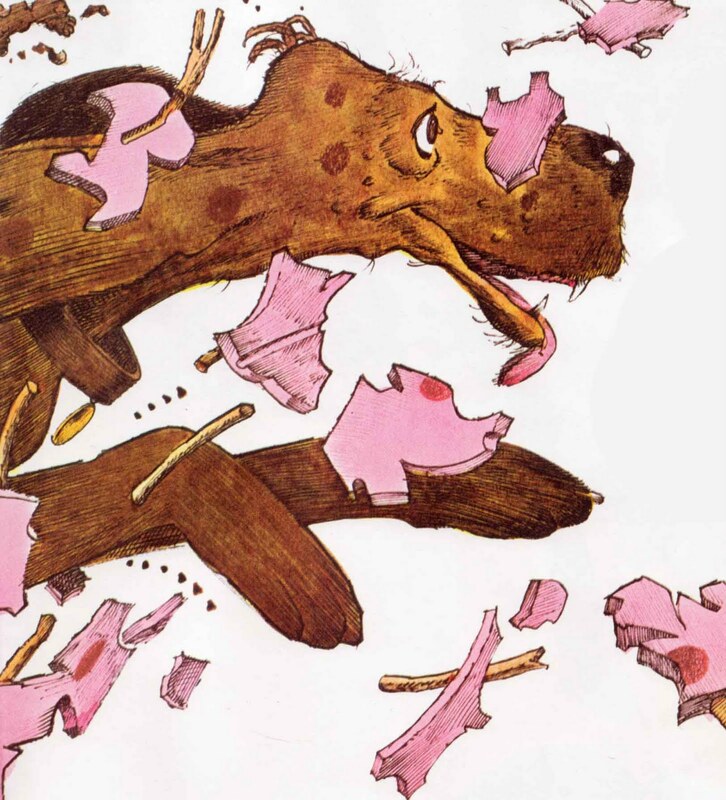 One of my all time favorites, and one my kids love as much as I do. We live in Atlanta, and a local restaurant, Eats, has a replica of the egg in the center of the dining room! 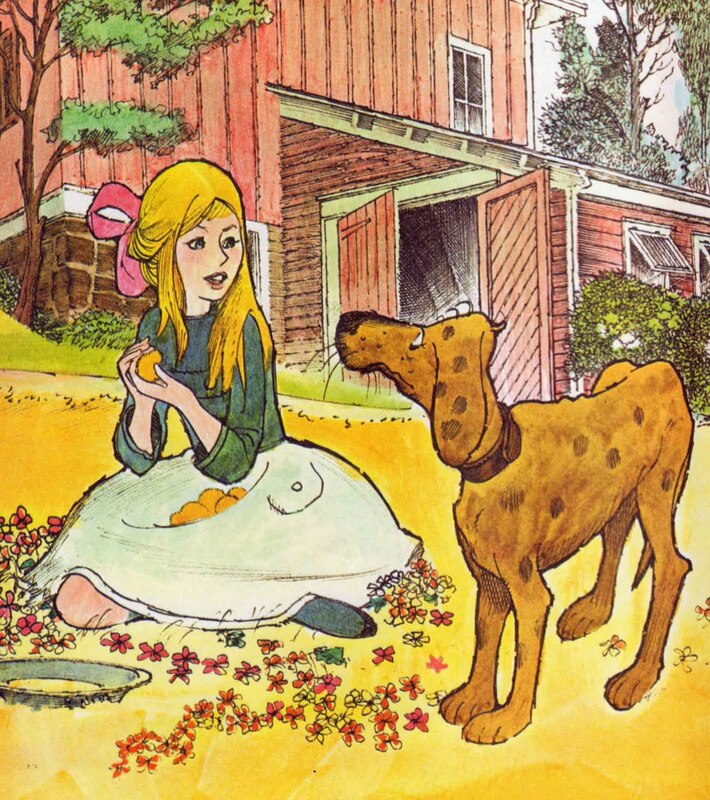 I loved this story as a child and spent a lot of time trying to draw the characters!! This was a favorite book of our children when they were small. 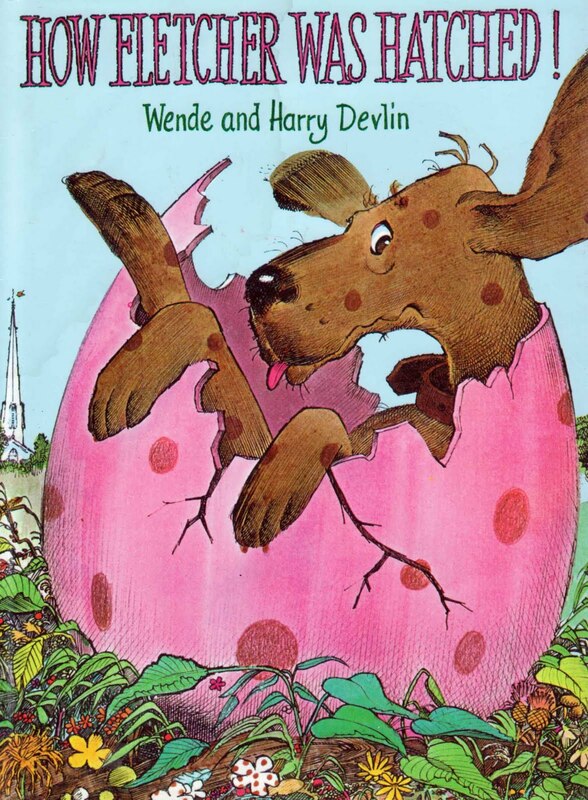 They would wrap themselves in blankets (the egg), then we would come into the room crying "Fletcher, where is my dog Fletcher" and they would burst out of the blanket (egg) yelling "Here I am!" This was repeated numerous times till they out grew it. Now we have a 3 month old granddaughter who I will get a copy of this book for. Then our son and wife can do the same thing with her.